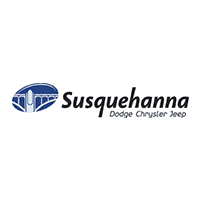 Welcome to the Susquehanna Chrysler Dodge Jeep RAM Parts Department, where you’ll find a well-stocked inventory of OEM Chrysler, Dodge, and Jeep auto parts. Quality is our guarantee! No matter what car, truck, or SUV you buy, you will need to replace components as they wear down over time. At our Chrysler, Dodge, Jeep, and RAM dealership near Lancaster, PA, we have a very knowledgeable full-service parts team on-site to help you purchase Original Mopar parts for your vehicle. If the part you’re looking for is not in stock, we will be happy to order it for quick delivery. Whether you want to install your parts yourself or would like one of our experienced service technicians to install it for you, we have you covered. If you already know the part number that you need, you can simply fill out the online form below. Our staff will check the availability of the part and order it if we don’t have it in stock. Once your part has arrived, we’ll contact you via your preferred method of contact to let you know that it’s here. If you have any further questions, you can call our knowledgeable parts staff at 717-478-2801, or contact us by filling out the form below.